My coffee of choice is Illy. I toured the Illycaffe factory in Trieste with Dr Ernesto Illy in1996 and last spring went to the Universita Del Caffe, a two day course given by Illy at the International Culinary Center in NYC. So I was happy to have an opportunity to have dinner with Riccardo Illy and to taste the wines of brunello producer Mastrojanni which the company had acquired. Robert Restaurant on the 9th floor of the Museum of Art and Design was the setting for the tasting and dinner. Riccardo gave me some background on the family business. Francesco Illy, his grandfather, founded Illycaffe in 1933 and they produced coffee and chocolate. Back then, they even owned a farm near Trieste in Istria, but after WWII they lost it when Istria became part of Yugoslavia. Riccardo said that after WWII his grandfather stopped producing chocolate and concentrated only on coffee. His father Ernesto Illy introduced Illy tea but discontinued it in the 1980’s. Riccardo is now the chairman of Gruppo Illy. He explained that Gruppo Illy has taken on a number of different quality brands: Domori- chocolate, Dammanna Freres- tea, and Agrimontana-fruit preserves, jams and confections, and the Montalcino estate of Mastrojanni. He went on to say that with the addition of the Mastrojanni estate, he and the Illy family realized one of their dreams, to own a top-quality wine producer in their native Italy. 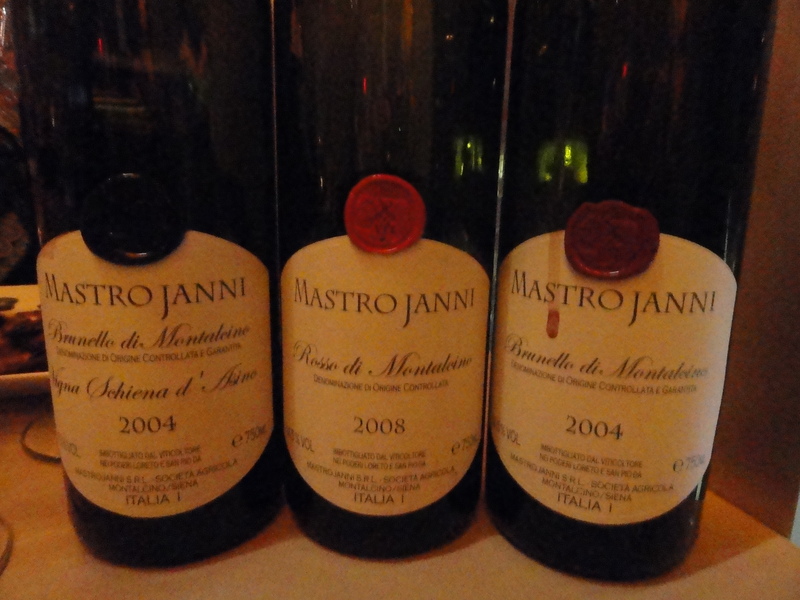 It was Riccardo‘s brother Francesco who began drinking Mastrojanni wines and going to Montalcino. 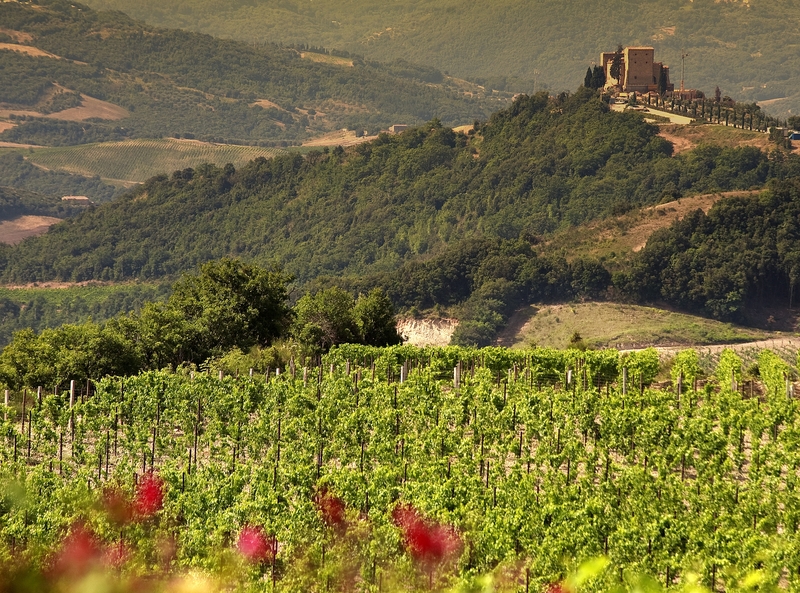 After many visits to the Montalcino area Francesco liked it so much that he wanted to buy land there. A Tuscan friend introduced him to a shepherd who wanted to sell his land and an old house. The property was next to the Mastrojanni Estate in the province of Siena, at the farthest southeastern edge of Montalcino, in the hillside town of Castelinuovo. Francesco brought the property and restored the house which became known as Le Ripi. Over time Francesco became friendly with the general manager of Mastrojanni, Andrea Machetti and he introduced him to the Mastrojanni family. 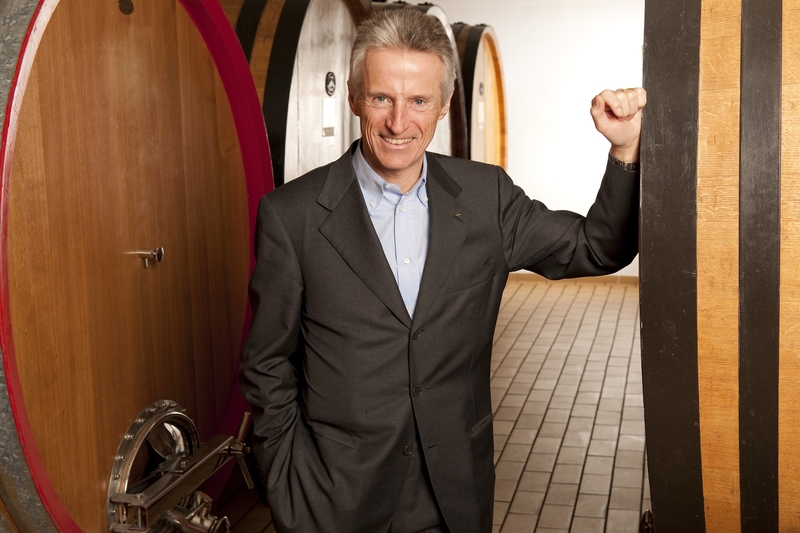 In 2008 the Mastrojanni winery came up for sale and Francesco convinced the Illy family to buy it. Riccardo made it clear that they have only made small changes at Mastrojanni. They brought new barrels- but only large ones- which Riccardo pointed out are traditional for the area. They expanded the cellar, replanted where necessary, and redesigned the labels. Everything else remained the same including keeping Andrea Machetti on as general manager. In fact it was Mr. Machetti who insisted that the winery continue using the large traditional barrels associated with the great wines of Montalcino. He believes these grande botti are the best way to emphasize the typical characteristics of Sangiovese Grosso and the specific local terroir. Riccardo made a special point of saying that barriques are never used. The wines are aged in large barrels ranging in size from 15-54 hectoliters. The size of the barrels fluctuates according to the characteristics of each lot. He went on to say that they depend on Mr.Machetti’s knowledge, experience and intuition when it comes to the wine. Riccardo gave examples of Mr. Machetti’s intuition when it comes to the harvest. In 2005 Mr. Machetti decided to harvest in early September instead of October. This was the right choice and made it a great vintage for them. 2006 and 2007 was excellent weather and Riccardo thinks that they are both five star vintages. In 2008 it was cold in September and the ripeness of the grapes was not right. Then there was rain and many other producers harvested their grapes in early October. Mr Machetti felt that the grapes were still not ripe enough but believed warmer weather was on its way. It was and they were one of the last wineries in Montalcino to harvest the grapes. For them 2008 was another five-star vintage. In 2009 there was rain, sun, rain for most of September and October. Mr Machetti harvested 4-5 times in order to get the right ripeness. Mr Machetti is aided in his work by the famous oenologist Maurizio Castelli. 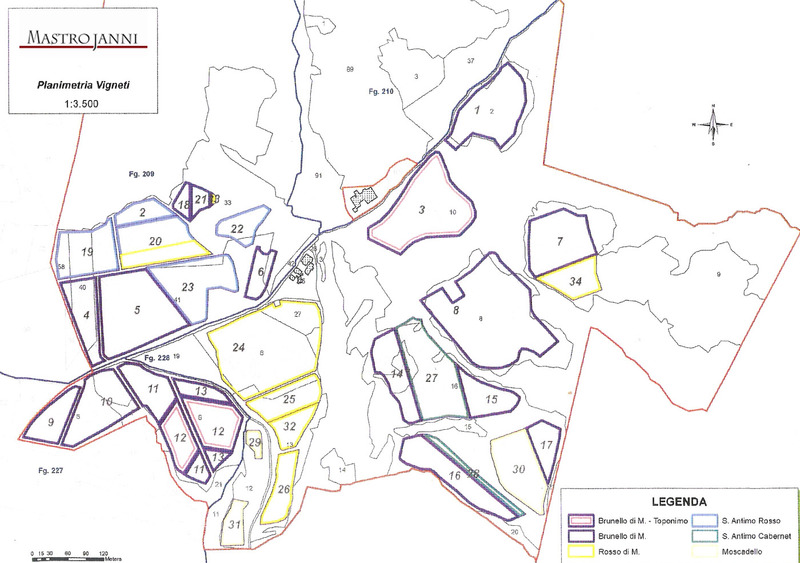 In 1975 when Mastrojanni was established there were fewer than 25 Brunello producers. Today there are over 250. Riccardo said that the first vintage was in 1980 and that the winery became known for their classic Brunellos. 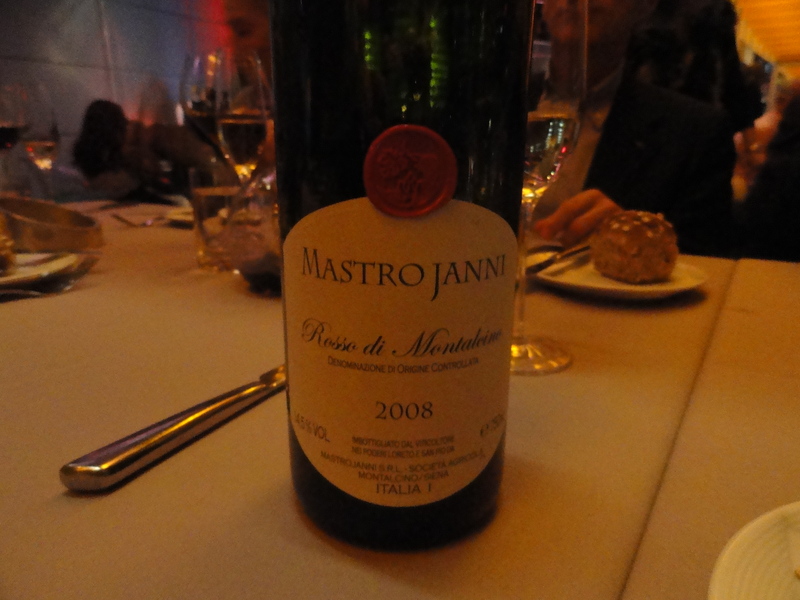 I first encountered Mastrojanni wines at Vinitaly many years ago and have been enjoying their wine ever since. Riccardo also said that he likes Brunello that has aged a number of years. He has found in the cellars wines going back 20 years and he has been drinking them. Mastrojanni in 1997 introduced a Super Tuscan “San Pio” IGT and it is still produced. Made from 80% Cabernet Sauvignon / 20% Sangiovese Grosso, it spends 18 months in French oak and small barrels. Riccardo was quick to point out that this is their only super Tuscan. In Tuscany there are regional regulations that say you must not cut down the forests. Riccardo believes that trees help to absolve changes in the climate, provide fresh air and encourage the difference in temperature between night and day. While they are not certified organic, they follow organic principles and biological production standard when possible. 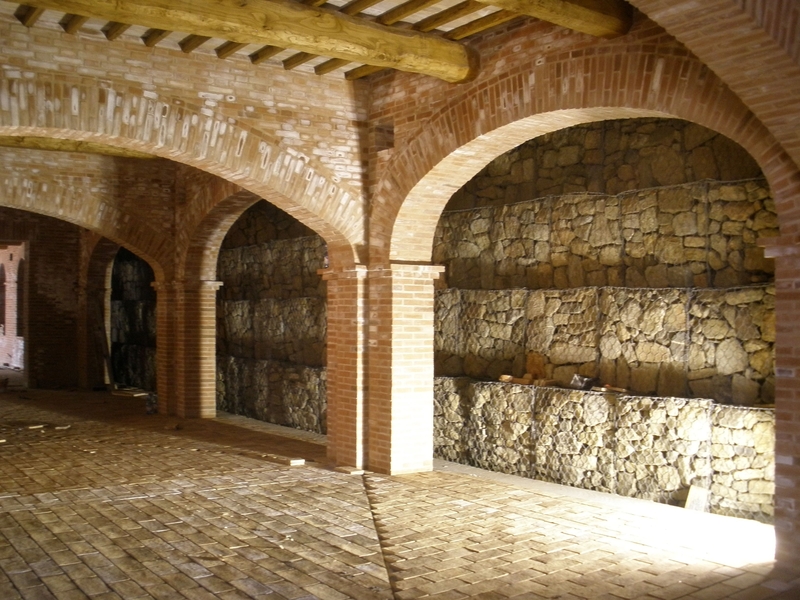 This is why the new part of the cellar designe by Riccardo’s brother Ernesto follows bio-architectural principles. 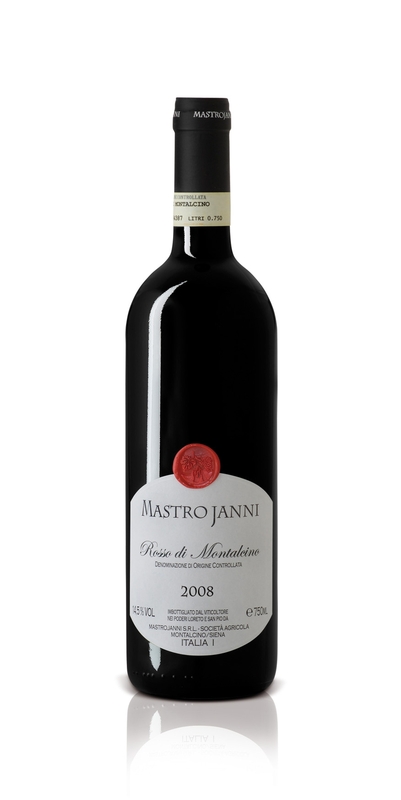 I found Riccardo very interesting and knowledgeable about wine in general and the Mastrojanni winery in particular. In most cases when a traditional producer is bought by a “large company”, the first thing that they do is to put the wine in barriques and make wine for the “international market”. This was not the case with Illy, and in my opinion they should be applauded for preserving the winery’s traditional way of making wine. I recently found a bottle of “brunello di montalcino 1997 MASTROJANNI” in my wine cellar, do you think this wine has past it’s prime or is it good to continue to cellar?